Are you ready for the new season of NBL Dream Team? Here are some things to think about when planning your team. 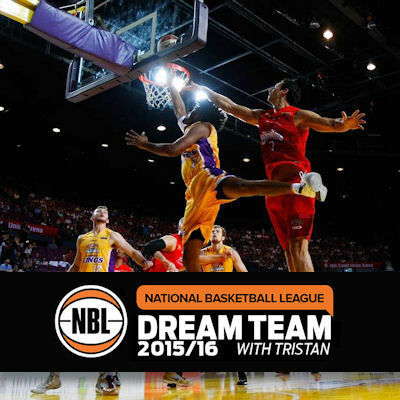 NBL Dream Team is back and to start I’m going discuss a few of the key team planning points. This all assumes that you’ve already ready the official help and info section, which is found by clicking the question mark on the top right corner of the NBL Dream Team page. If you haven’t you should spend 5 minutes doing so, it’s more helpful than you might expect. It readily shows that Townsville has the strongest start to the season with 5 straight weeks of double matches, whilst Perth has the slowest start. A valid tactic would be to skip selecting Perth players in your starting squad as their player’s prices won’t change until after round 3, whilst every other team will see price changes after round 2. With only 19 rounds there are a maximum of 36 possible trades that you could make during the season. This means that there are 6 rounds where you would need to make a single trade. Making a plan for when you might use less trades based around your starting squad strategy can be a huge help early. Depending on who you select you could potential save a trade immediately, although you need to be careful not to miss someone who has had a big round 1 and is going to gain heaps of value. Also note when planning you trades that the bye rounds in the middle of the season add extra complexity, particularly if you have Adelaide players who will need to be ditched before round 11. Matches each round will be taking place between Wednesday and Sunday, meaning that there is only a short turn around to complete your trades. There are no rolling lockouts and no team list updates, so it will be crucial to set aside some time on Monday or Tuesday each week to review the previous round, check the health of your players, and get your trades made. Adealaide – Sobey has obviously improved but will he deliver enough early for a starting DT selection? Cairns – The Taipans shared the scoring very evenly last year, does Worthington’s addition change that? Illawarra – Does the Lisch / Penny combo produce a pair of scoring machines? Melbourne – Are Hadziomerovic and Majok bargains or will they find it tough to get off the bench? New Zealand – Who will be filling the scoring gap left with Corey Webster away? Perth – Do Jawai and Knight share the court or will only one be out there at a time? Sydney – Can Childress still produce the same constant massive scores while sharing with Khazzouh? Townsville – Where do potential bargains in Young and Kay fit in the on court priorities? No word on prizing. Fingers crossed they can get something together for it!